After the success of the Decodance feature, celebrity designer Laurence Llewelyn-Bowen was invited back for a second year running to create a new section for the Illuminations. 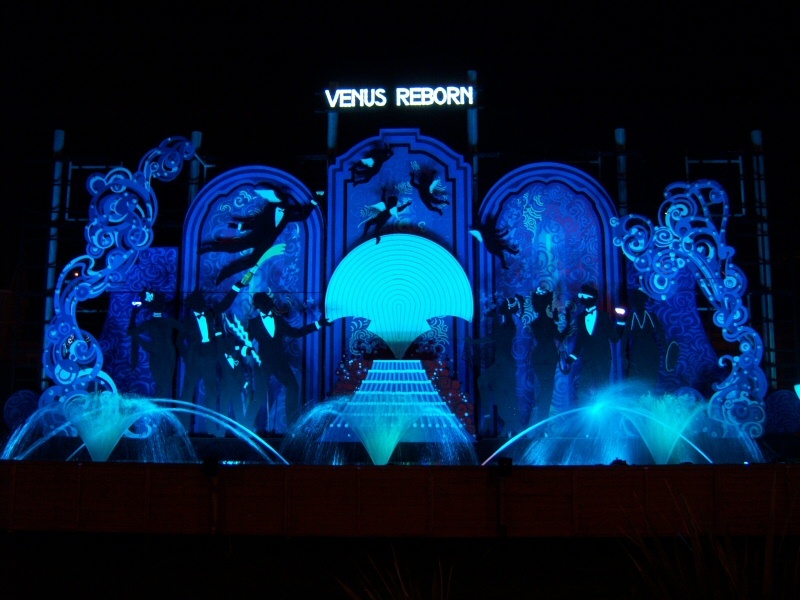 The result was Venus Reborn, the first theatre tableau to be created, which features a 15 minute show of sound, light and water effects. In my opinion, this is the best feature we have ever made, but you really need to go down and see it in action to appreciate it. The show is made to encourage visitors to get out of their cars and see a little more of what Blackpool has to offer, and I think if you do you won't regret it. This feature is very beautiful and with the classical music playing and fountains dancing, it is also strangely moving. I helped make some of wooden figures and also painted the light boxes which form the backscene. 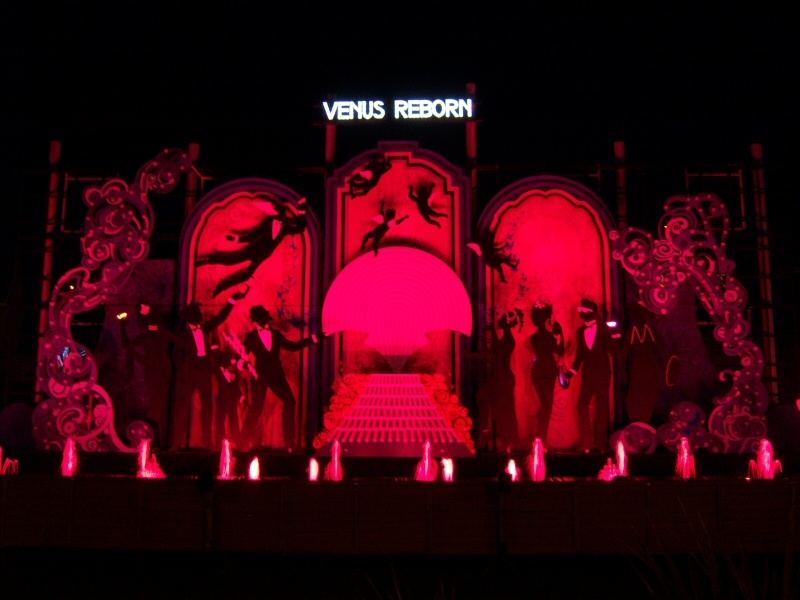 Venus Reborn 2008 is a feature within Blackpool Illuminations, the greatest free light show on earth, where Sarah Myerscough (me) works as an artist. The Illuminations are an annual event that takes place from late August / early September to November, along six miles of the promenade in Blackpool, a seaside resort in the North West of England.